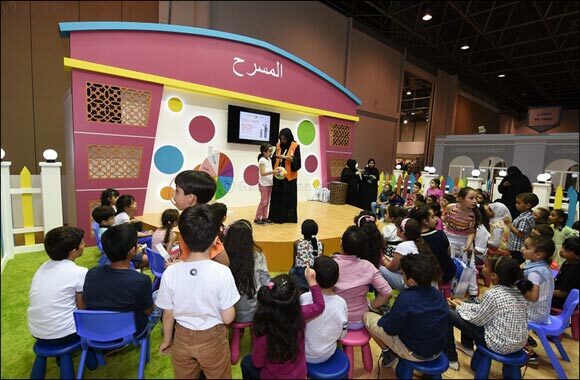 Sharjah, March 26, 2018: The Sharjah Children’s Reading Festival (SCRF), will run from 18-28 April 2018 at the Sharjah Expo Centre. The cultural festival will feature an array of cultural activities, artistic shows, educational, recreational and sporting events and activities, as well as showcase the latest publications of a host of local and international publishing houses dedicated to the children’s and Young Adults genres. “The growing importance of the SCRF to the cultural project of Sharjah is manifested by the increasing turnout of visitors each year. The festival is unique to the region and has become a substantial event on children’s activity calendar, as it brings together education, knowledge and culture all under one roof. The festival is a platform that showcases all of these aspects in a way that meets the ambitions and aspirations of young generations. It also bundles science, literature and arts in fun-filled events, which nurture young imaginations and, in the process, fosters their love and appreciation for the world they live in,” he added. The Chairman of SBA noted that the festival’s 10th anniversary celebrations will be exceptional at all levels. A series of events and activities will be showcased for the time, and will offer young visitors the opportunity to interact with their favourite Arab and international authors. A host of superstars, VIPs, celebrities and social media influencers will also be joining the event. The 11-day SCRF will organise an array of workshops, reading sessions and discussion panels that aim to develop children’s talents and capabilities in artistic, scientific and literary fields. The festival provides a vibrant fun-filled edutainment platform for children, bringing them together with a host of renowned children’s book authors, who will read their books to visitors. It is also a forum for publishers to showcase their titles. The festival’s spectrum of recreational and educational activities blends latest technologies with visual arts to develop children’s exploring skills. The SRCF seeks to foster reading as a robust habit in children and young adults, and provides artists and illustrators to showcase their works. The festival brings together readers, authors and publishers and enables them to communicate with each other. It features many awards ceremonies such as the Sharjah Children’s Book Award, Sharjah Children’s Book Award for differently-abled children, and Sharjah Children’s Book Illustrations Exhibition Awards that is held in conjunction with the festival each year.